We love the new perfumes that arrived last week. 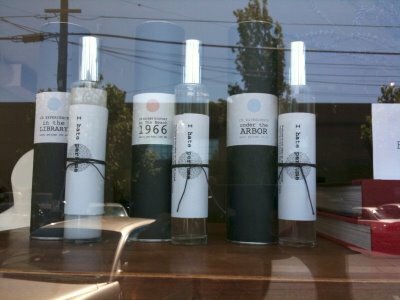 Designer Christopher Brosius has created an innovative line of real scents. They’re not sweet, but pleasant and very nostalgic. A bit unconventional – they allow you to feel like your true self. We have a range of scents from musky to crisp. Even the clean and crisp scents turn warm after a few moments on. Their prices start at $60 and go up to $85 for a 100mL bottle. For more info on CB I Hate Perfume check out Christopher’s site. posted by Josef Boutique	on Thursday, July 23, 2009 at 12:00 pm.